Bowie State has a pair of tough road games as it attempts to defend its 2018 CIAA title. BOWIE, Md. – The Bowie State University Department of Athletics has released its 10-game football schedule for the 2019 season. 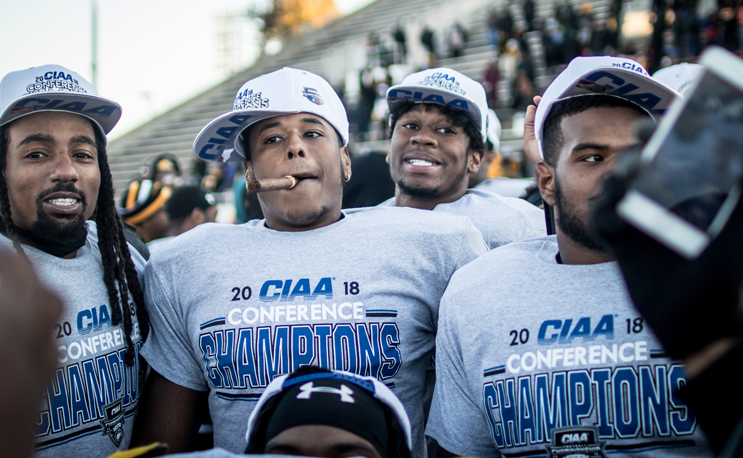 Bowie State concluded last season with a record of 9-3 overall, 5-1 in the CIAA and the Bulldogs captured the conference championship crown. The Bulldogs will kick off their season on the road against the Yellow Jackets of American International College on Saturday, September 7th with game time set for 12 pm. Next on the schedule for Bowie State will be a trip south to face the Bears of Shaw University in a non-conference matchup on Saturday, September 14th. Game time is slated for at 1:00 p.m. in Durham County Stadium. BSU will make its home debut on Saturday, September 21st when the Bulldogs host Alderson Broaddus University at 1 p.m.to conclude the non-conference portion of their schedule. The Bulldogs stay at home in week four, entertaining the Falcons of Saint Augustine’s University at 4 p.m. in the first conference game of the season. The first game in the month of October will send the Bulldogs down Tobacco Road to take on Winston-Salem State University. This cross-divisional matchup is scheduled to take place on Saturday, October 5th with a game time to be determined. Bowie State divisional play will begin at home against the Hawks of Chowan University on Saturday, October 12th at 1 p.m. for Homecoming 2019. Next in the division, the Bulldogs will travel to Virginia State University (October 19th) for the Trojans Homecoming. Kickoff is set for 2 p.m. The Bulldogs return to the cozy confines of Bulldogs Stadium for weeks eight and nine hosting Virginia Union University (October 26th at 1 p.m.) and Lincoln University of Pennsylvania (November 2nd at 1 p.m.). The regular season will conclude Saturday, November 9th as Bowie State makes its final regular season road trip to face the Vikings of Elizabeth City State University at a time to be determined. “I’m excited about our 2019 schedule as we are able to play a very competitive non-conference schedule which will prepare us for conference play,” head coach Damon Wilson said. Prior to the start of the 2019 regular season, the Bulldogs will hold their annual intra-squad spring controlled scrimmage game on Saturday, April 20th at Bulldogs Stadium. Sept. 21 ALDERSON BROADDUS 1 p.m.
Sept. 28 SAINT AUGUSTINE’S * 4 p.m.
Oct. 26 VIRGINIA UNION * 1 p.m.
Nov. 16 CIAA Championship # 1 p.m.